Bring a saucepan of water to the boil. Add rice noodles and cook for 3-5 minutes until soft. Drain noodles, rinse and set aside to cool. Cut carrots into thin sticks, chop mint and coriander leaves and mix these leaves with the carrot sticks together in a small bowl and squeeze lime juice over them. Fill a large shallow bowl with warm water. Dip one rice paper into the water for one second to soften. 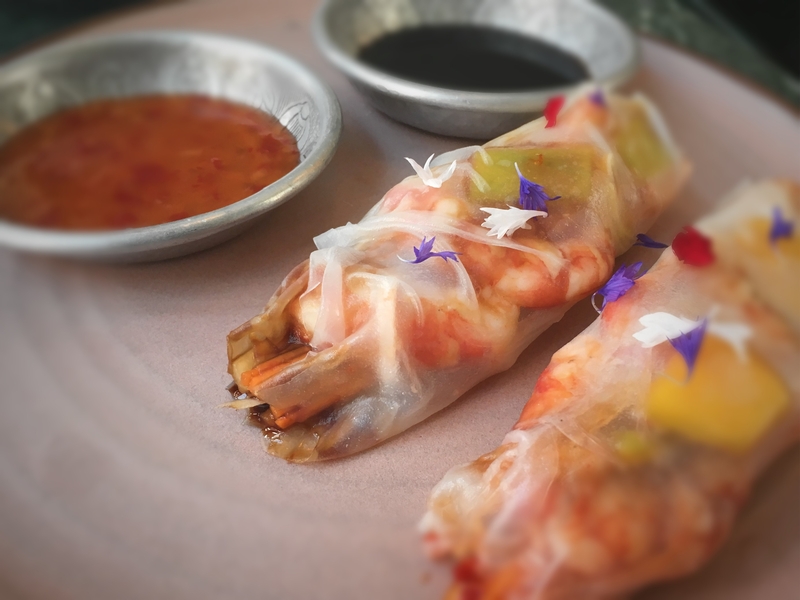 Lay the wrapper on a clean bench and place two prawns, a small handful of noodles, some carrot, mint and coriander in a row across the center, leaving a few centimeters of the rice paper uncovered on each side. Gently wrap the sides of the wrapper over each other to create rolls.